In just a matter of a few years, influencers have become choice partners for advertisers. 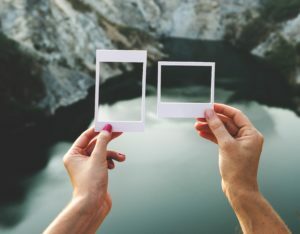 Conveying an image of authenticity and proximity, they’re considered by some as 92 percent more credible than brands on social media. But things don’t always look so good in the world of influencer-advertiser collaborations and fake accounts have especially plagued the field. Today, you can buy anything on social media platforms: followers, likes, even comments. Some influencers have no qualms about resorting to companies selling these figures to artificially grow their stats and get more profitable partnerships. Problem is, these fake influencers in reality have a community that’s very little engaged and can only guarantee weak results for collaborations. These practices have been criticized many times by advertisers, and by influencers themselves. Last January, the New York Times published a study highlighting the sale of followers by a company called Devumi by means of a database of 3.4 million fake accounts. The scandal made headlines. These fake influencers have become a pet peeve for marketers and brand managers alike. How do you distinguish between real and fake accounts? How can you spot influencers with inflated audiences? Here are 8 tips from our team to make sure your collaborations with social media influencers start off on solid ground. On your own, it’ll be hard to get the adequate answers to know which of the accounts you’re gravitating toward are real and which are not. When you embark upon verifying influencer accounts, it is essential to get the right quality tools that’ll give you specific insights into the accounts at hand. We recommend you use HypeAuditor and Social Blade, both of which give you an analysis of the current state of the most sought-after profiles. You’ll be able to access data on their engagement rates, the quality rates of the accounts’ communities, and their engagement. Available graphics will give you a clear and immediate overview of the accounts’ evolution. 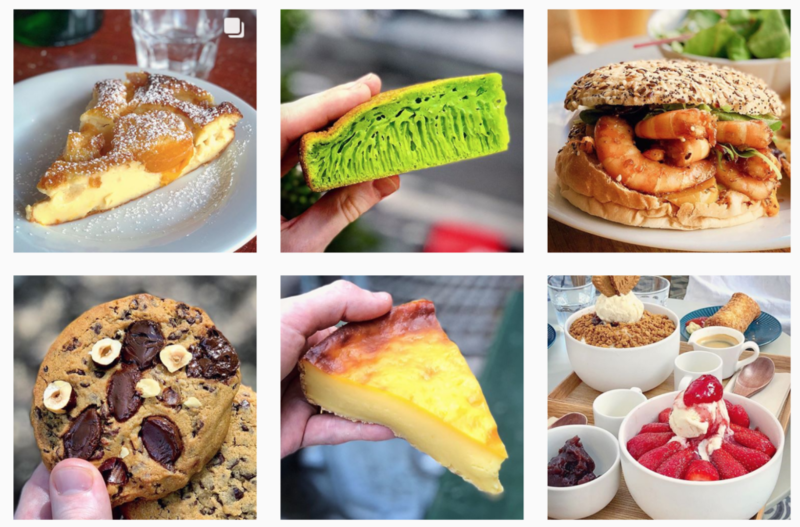 We tried the two platforms by taking as an example Parisianavores, an influencer who we’ve recommended as one of the best food influencers you could work with in 2018. Several social media platforms like Facebook, Instagram or Twitter have a feature allowing accounts of influential individuals to be verified. The feature is a response to a recurring issue encountered on these platforms: myriad fake celebrity accounts created by impersonators sprout up everyday. Your first reflex should thus be to check if there is a blue checkmark, as in the example below on Margot’s account youmakefahion, next to the influencer’s handle. If it is the case, you can go ahead, the account was indeed verified by the platform and the owner isn’t a fake influencer. Still, relying on the “blue checkmark” certification isn’t enough, as it is only reserved for prominent influencers with large communities. Micro-influencers, as well as many ‘classic’ influencers, cannot set their sights on the verified badge at their level. To spot the cheaters, looking at other criteria is necessary. One of the important criteria to look into is how linear the evolution of the influencer’s follower count is. If you notice they’ve won an important number of followers in a single day, it is likely that they’ve resorted to buying a follower base. An uneven evolution of the number of followers, with periods of high acquisition rates followed by high loss rates, isn’t a good sign. Yet beware, strong acquisition rates aren’t necessarily the sign of fraud! Before making hasty judgments, it’s important to check whether these peaks cannot simply be explained by the influencer’s activity. If the account owner carried out a high-profile operation (a partnership, a performance, a media apparition...), the peak has an explanation, and the influencer can be trusted. On the above example, Social Blade indicates that Anaïs from Parisianavores gained over 1,000 followers in a matter of days. While the peak could be regarded as suspicious, a quick look at her Instagram account shows that it matches her posting on August 18 a photo of her husband and newborn—a post which had a lot of success with her audience, with over 2,300 likes and 80 comments. An influencer with a large audience but generating little engagement on their posts has likely inflated their follower count. It’s important to understand that the power of an influencer’s community isn’t calculated in terms of numbers, but in terms of quality. Indeed, micro-influencers are more and more valued by advertisers: they may have smaller communities, but tend to have the most engaged. The relationship that an influencer builds and maintains with their audience and the interactions that their content generates are more meaningful vectors of reliability. The most important thing is to calculate engagement rates by comparing the average number of likes on the last set of posts to the number of followers. If the rate is lower than 2 percent, better to remain wary. 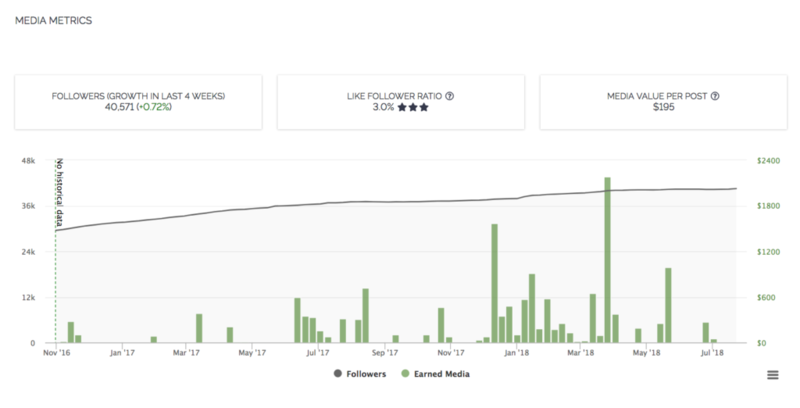 Social Blade and HypeAuditor both calculate influencers’ engagement rate. On the above example from HypeAuditor, our influencer case study’s engagement rate is indicated as 4.97 percent. The rate being higher than 2 percent, there should be no doubt about the authenticity of the account Parisianavores. Following someone on social media in the hopes that they’ll follow you back is a common practice with influencers. It’s way to inflate their communities without resorting to buying followers. That’s why it’s important to check the influencer’s follower/following ratio. If the account has a number of accounts followed almost as important as their number of followers, it’s likely they’ve used that practice. Their audience will be of little interest to marketers since it generally comes with a low engagement rate. Those last two categories are problematic. “Mass follows” refer to accounts following a great many people. They don’t represent a quality audience since their feeds are likely to be drowning in posts from all the accounts they follow: they won’t probably see most of yours. Suspicious accounts represent ghost accounts or accounts generated by bots. They obviously serve no interest for you since there is no real person behind the account. If the rate of mass follows and suspicious accounts is higher than 30 percent, do not trust the influencer and look somewhere else: their community won’t give you the engagement rates you’re looking for. It’s important to take the time to inspect what kind of comments are left on the influencer’s posts. A high number of comments isn’t always the sign of an engaged community! These days, a majority of what constitutes social media KPIs can be bought, even comments. So, if most comments are extremely generic or consist of onomatopoeia and emojis, chances are they were bought by the influencer or were left there by bots. Authentic comments will be those directly relating to the post, or tagging other accounts. Above, we can see that Anaïs posted a photo of her husband and baby on Instagram. The comments specifically refer to the post, the first to the caption added by the influencer, the second to the photo. All clear on the bot front. Measuring an influencer’s authority can also be a token of audience’s quality. If they’re followed by several other important influencers and they’re often tagged by them, you can rest assured: it means the influencer community recognizes them as serious. Let’s not forget that influencers are the first to denounce fake accounts that damage their image in the eyes of audiences and marketers. 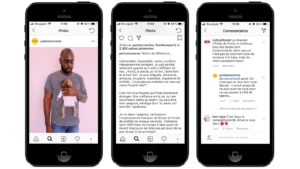 Last June, Instagram and YouTube star Guillaume Ruchon, also known as Guiruch, looked into analysis of 10 influencer accounts to speak out the abusive practices. In the aftermath of his video, which was viewed a number of times, Guillaume was the target of several of the scammers’ ire, which he was able to take with humor as shown in the post above. On the other hand, you should also be wary of influencer communities. Some of them are resorting to another practice still unknown by the public: pods. Pods are groups of people gathering in private chats and encouraging each other to like and leave comments on other influencers’ posts. This method allows them get a better position on the app. The results are obviously faked since the engagement rate doesn’t represent the interest shown by people having liked or left a comment on the post. We recommend you monitor the identity of the few most active followers: if most of them are influencers, it’s usually not a good sign. For a collaboration between brand and influencer to be successful, trust is key. The controversies generated these last few months by the media and by influencer communities have forced the latter to prove their credentials, and to demonstrate their authenticity not only to advertisers, but to their followers as well. It is now evident that the main criteria to pick an influencer shouldn’t be the size of their audience, but its quality . It’s useful to know that it’s sometimes more interesting to work with micro-influencers who benefit from extremely engaged audiences (60 percent more that very popular accounts), than with celebrities with hundreds of thousands or millions of followers who aren’t, in reality, very loyal to them. For restaurants, having a strong social media presence is essential to establish their online visibility and attract customers. So how do you build an effective and thriving social media presence? 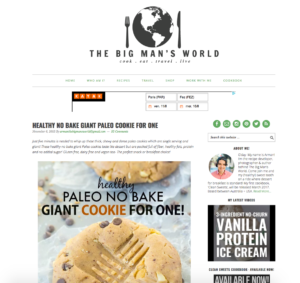 By collaborating with the right food influencers. Are you looking for the best restaurants in Paris? 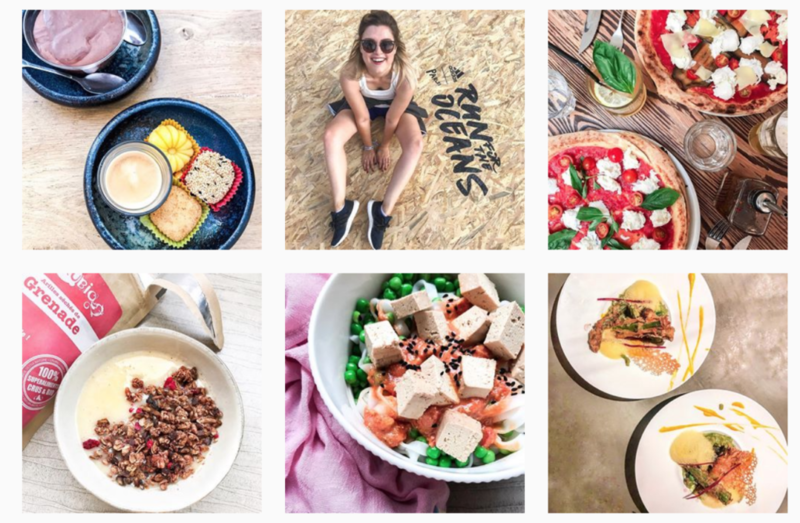 Are you wondering which Instagram accounts you should follow to keep track of all the latest food trends? Or are you a restaurant owner, looking to find a new audience of customers by getting the top influencers in Paris to talk about your establishments? 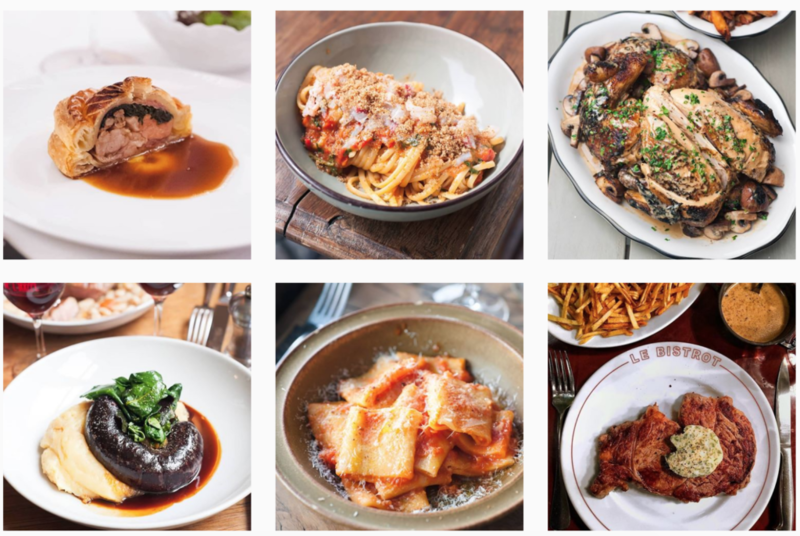 Here’s a list of our favorite influencers, those whom we trust the most, whose posts we save, and whose recommendations we read with trepidation before choosing what tonight’s restaurant will be. She’s a food journalist on C8 Channel, she writes for Fou de Pâtisserie, Fou de Cuisine, My Little Paris, and Mint Magazine. Raphaële has good taste, and knows how to share it with other people. 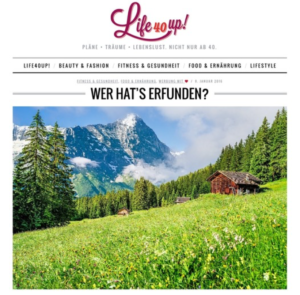 She regularly writes about her favorite culinary discoveries on her blog and Instagram account Enrangd’oignons, always with astuteness and humor. Is your restaurant keen on generous, gourmet-but-not-too-healthy cooking? Raphaële has to stop by and try it. If your pastrami sandwich can challenge those of Katz’s, if you’ve mastered fig desserts like no one else, or that you simply serve real, good street food—Mina is your guy. A mom full of energy, humor, and love for good food, Anaïs makes us look at the quiet 15th arrondissement of Paris with a fresh perspective, but also the 11th, Montreuil, and many other Parisian neighborhoods. Between two photos of plates full of food or of French pastries, she shares with her audience bonding moments with her two children. 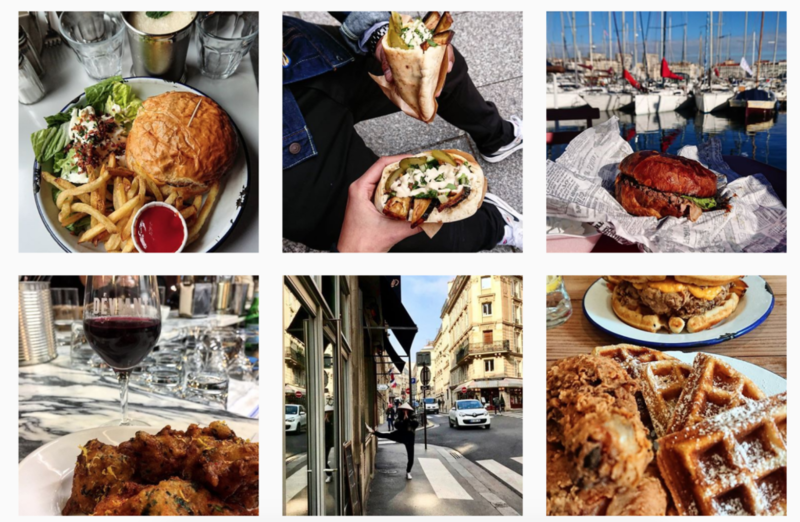 On Instagram, the account Parisianavores has already gathered an audience of over 37,000 foodies. If your restaurant is kid-friendly—Anaïs should be talking about it. Do you serve beautiful desserts or unique and exceptional pastries? Then it’s Tal Spiegel, the chef behind the account Desserted_in_Paris who should be presenting your concept to his 136,000 followers. Where does the originality of the account lie? 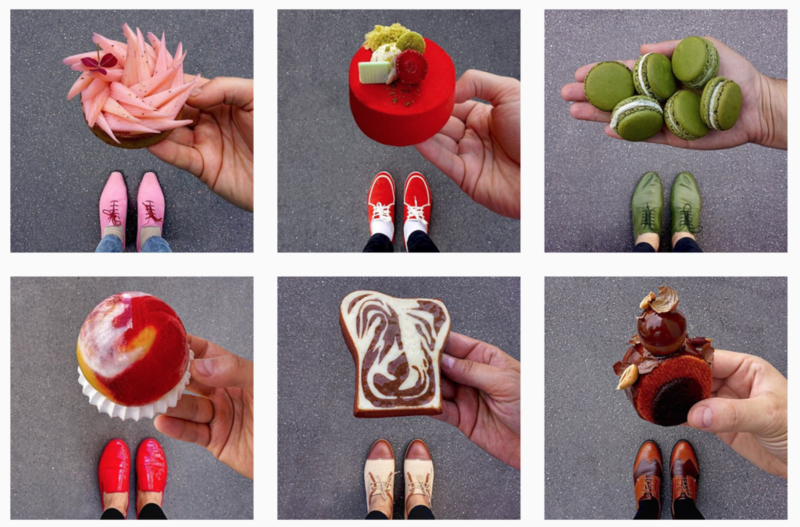 The chef always shoots pastries from the same angle, simultaneously revealing a pair of quite unusual shoes… that always match the pastry! Are you particularly proud of your lemon pie? We’re pretty sure Tal will have the matching shoes to showcase it. The lovely French-Brazilian Stéphanie Guillemette loves trying new restaurants. 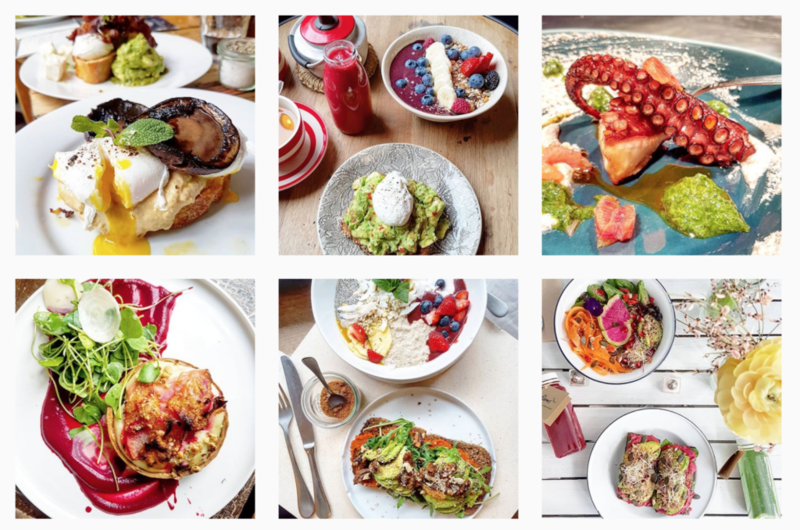 In addition to her colorful homemade breakfasts, she shares her experiences with precision and honesty in her Instagram stories and gives recommendations on where to eat well in Paris—lots of fine spots serving healthy, vegetarian, or pesco-vegetarian food. She’s even taken a leap and occasionally lends her cooking talents to restaurants she likes such as 5 Pailles or the Café Foufou. If you have octopus, avocado toasts, sweet potatoes, or acaï bowls on your menu, chances are Stéphanie should come to your restaurant. For those who thought they would trim down with four hours of biking, it’s kind of a bust. But to fill your stomach and laugh plenty, it’s more than a win. To make your restaurant a stop on the trip, you can contact Claudia and Anthony on Instagram. The rare treasure among influencers: he refuses to be invited, picks the spots he’ll try, and shares his opinion with precision and honesty. Arnaud can eat anything but mostly talks about pastries. His obsession? Flans. Rumor has it he’s going to open a new account dedicated to the best flans in the country, and even if it doesn’t happen, you still have quite enough content in his posts to tour the best flans in Paris. If your dessert menu is well looked after, if you take particular care of where your products come from, and if working with local producers is important to you, chances are Arnaud would like to take a look at your restaurant. 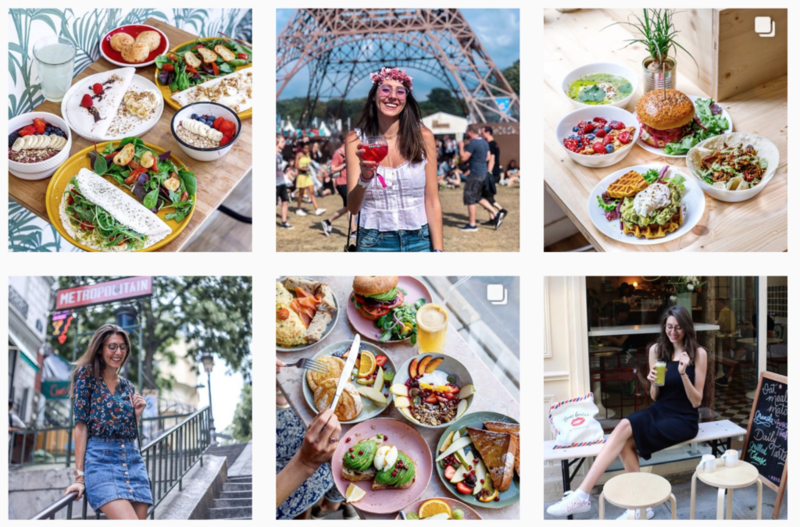 Laura shares her bright energy and foodie pleasures on her Instagram account Les Paris de Laura. Every month, she organizes a brunch with several followers and describes her experience on a dedicated Instagram account. Do you offer a generous brunch in Paris or in the vicinity which you’d like people to know about? Contact Laura to set up an insta brunch! Photographer and owner of the account Infatuation_Paris, Erwin tries every good restaurant in Paris, and makes it known which are worth the trip and what item to order on the menu. Thanks to his beautiful photographs, the quality of his recommendations, and his sense of humor, Erwin has seen his audience grow by around 6 percent every month. Do you serve a tasty, sophisticated brand of cuisine? Erwin is your man. 8 young people out of 10 claim they’ve already discovered a product via an influencer. These days, influencers increasingly shape young people’s consumption habits. If the first few made their name in the realm of beauty and fashion, a number of them share their daily food intake, whether it was cooked at home or enjoyed at a restaurant they liked and now recommend. 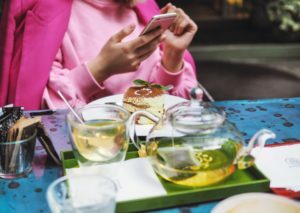 The power of persuasion that influencers wield, as well as the value they bring to a restaurant’s communications strategy seem evident. More accessible than food critics, more authentic than ads broadcast by the media—have influencers become the new kings of culinary press relations? Or are they the fruit of a fleeting and fragile trend? How can restaurant owners separate real from fake influencers? How do they collaborate with them? What are the limits of these collaborations? Read our analysis to find answers to all these questions. An influencer is first and foremost an individual who’s gathered an audience of a few thousand people on one or more social media platforms and shares with their followers their a slice of their everyday life. Some influencers focus on a specific theme (beauty, fashion, travel, food, sport…), while others branch out to become “lifestyle” influencers. Margot from the Youmakefashion blog began by talking about her first love, fashion (with almost 250,000 followers on Instagram). 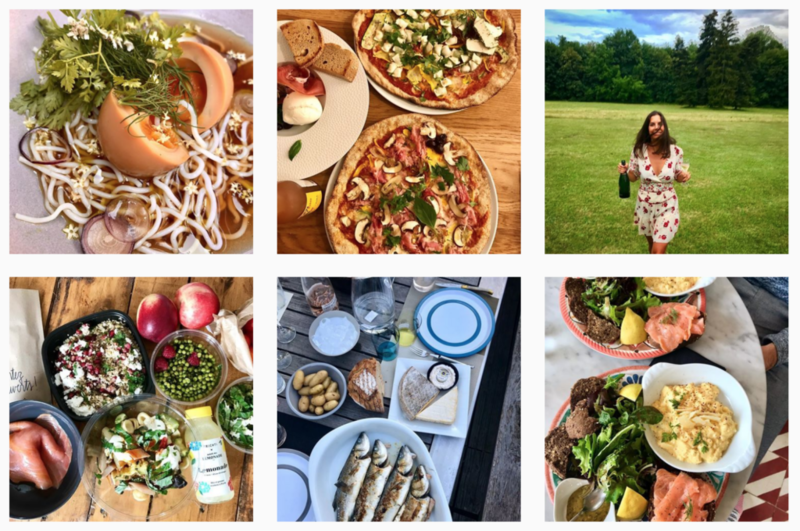 She then launched a second account, this time documenting her nutritional rebalancing, in which she shares her recipes, dishes, fitness routines, but also talks about her travels and the latest restaurants she’s visited. Images, videos, articles, and even podcasts: influencers have many different platforms of expression. 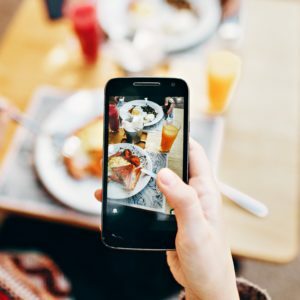 Food influencers favor photos and videos to highlight “foodporn” content,” and tend to prefer Instagram to publish their content. The difference between an “influencer” and someone who’s simply active on social media is that the influencer has build a real audience that follows them and listens to them for content or advice, with whom they’ve cultivated a sense of trust and use their power of persuasion. Celebrities: they’re influencers who’ve already gathered several hundreds of thousands, sometimes millions of followers. Exhibiting their lives on social media is their full-time job; they make a living out of it, and are in general managed by agencies. Contacting them is difficult, and they typically only accept offers if they’re paid for their posts. Mid-tier influencers: they have between dozens or hundreds of thousands of followers. In general, their engagement rate per post amounts to 3 to 10 percent. They’re more accessible than the first category of influencers, and can eventually ask for financial compensation for a collaboration. Micro-influencers: with an audience of between thousands and dozens of thousands of followers, they can generate strong engagement rates, but mostly enjoy a strong audience growth rate. They tend not to ask for pay but for other advantages in kind. Spotting the most promising micro-influencers can often guarantee the best return on investment. 2. What point is there for a restaurant to collaborate with influencers? Having influencers come to your restaurant is a way to gain traction on social media and to make it known to more people. Today, some users see an influencer as 92 percent more credible than a brand. Their posts are 24 times more likely to generate engagement on social media. 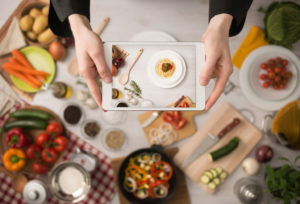 By sharing their experience in a restaurant in “stories”—short and short-lived videos or photos where they give their followers a glimpse of a restaurant’s decoration, products, menu, and even backstage in the kitchen—influencers can offer restaurants a consequential platform to be seen, but most importantly allow them to win over their audience’s trust more easily. Recently, Instagram added a feature called “Highlights” which made it possible to add permanent links to stories to your profile. 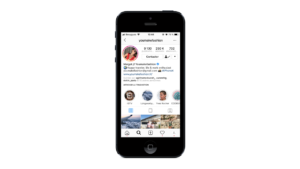 Content that was previously short-lived can now be preserved, filtered, and pinned to an Instagram profile. 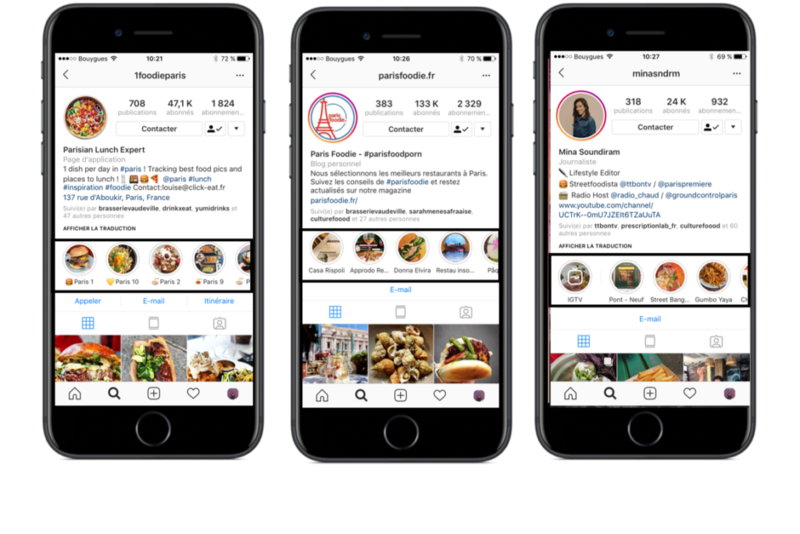 Some influencers allot a “highlight” to a single restaurant, while others sort their highlights by category or location. Influencers wield a real power of recommendation. If they liked a restaurant, they will promote it to their audience. 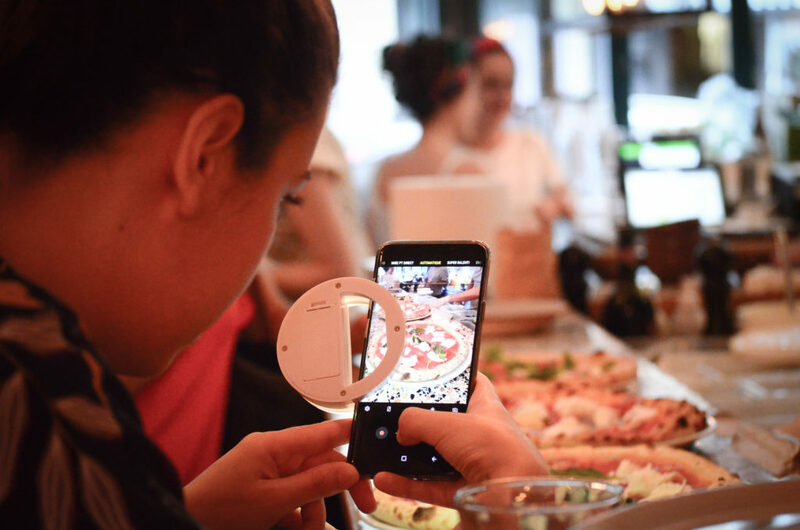 Pizzou organized an event for influencers to discover the restaurant, learn about its history, and taste its products and one-of-a-kind pizzas. The event took place on a Tuesday, one month after the official opening. The day after, Pizzou registered its biggest revenue since it opened (Fridays and weekends included), whereas “Wednesday evening is usually a calm shift,” as Vivien, one of the co-founders, tells us. Influencers are usually good at photography and taking videos. They’re capable of producing high-quality content that they share on social media and that the restaurant can then re-share on their own accounts. 3. When is a good time to collaborate with influencers? To announce the opening of a restaurant, press relations are essential (article to come), but today, they’re worthwhile only if when combined with “influencer relations.”. La Felicità, the latest giant from the people behind Big Mamma, opened its doors to the public on May 26, but dedicated the preceding two days to welcoming journalists and influencers. Influencers can communicate about the launch of a new offer. 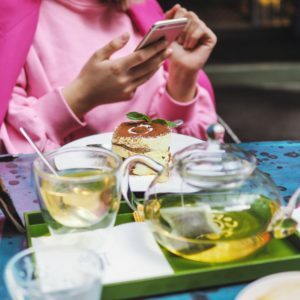 The Westminster Hotel spread the news about its new pastries and tea-time service with the help of Instagram influencers. 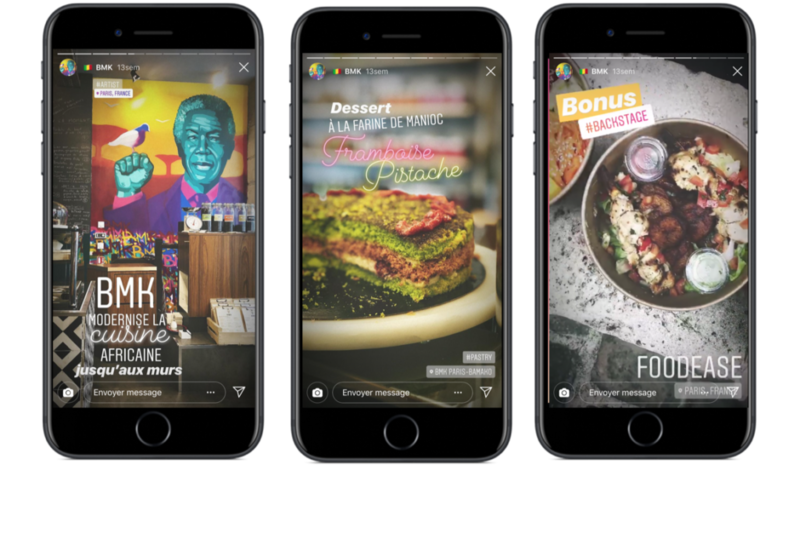 The burger chain PNY, which is quite communication-savvy, regularly collaborates with influencers to talk about the new things happening at their restaurants (often with an offbeat sense of humor, much as their stunt for the 50-year anniversary of McDonald’s Big Mac). 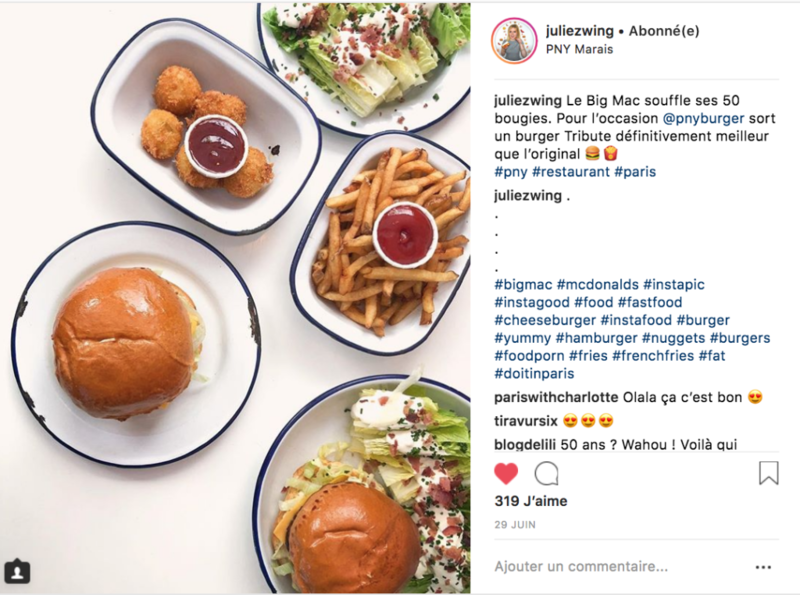 Paris New York Hamburgers or the Big Mamma restaurants regularly invite influencers throughout the year to share videos or photos of the food and as a result ensure their restaurant’s continued online visibility. The number of followers is the first (and easiest) criteria to spot. We talk about an influencer starting at a few thousand followers. It’s important to understand with precision which themes the influencer gravitates toward, their editorial policy, and the way in which they communicate with their followers. Inviting a vegan influencer to a restaurant serving meat and cheese, or a gluten-free one to a restaurant with no corresponding item on the menu, are examples of obvious mistakes to avoid. 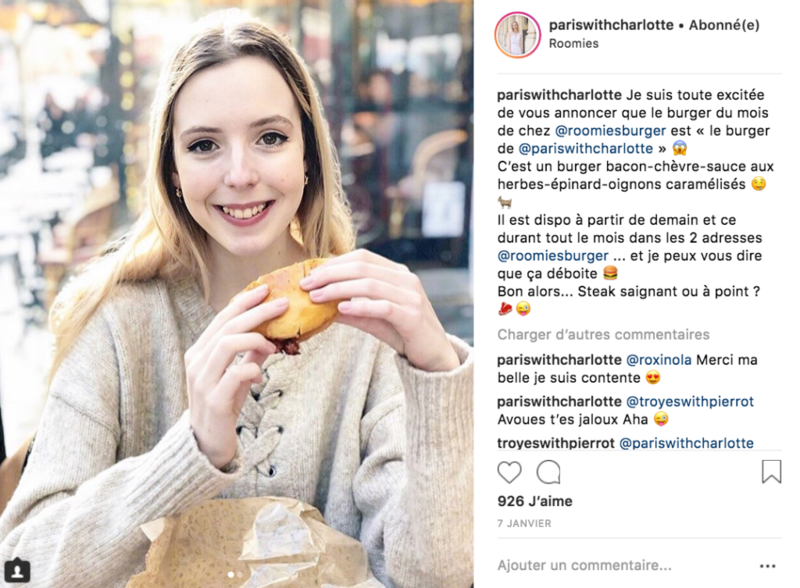 The location of the influencer’s audience should also be taken into account: an influencer with 200,000 followers living mostly abroad or in the country wouldn’t be of much help for a Parisian restaurant. 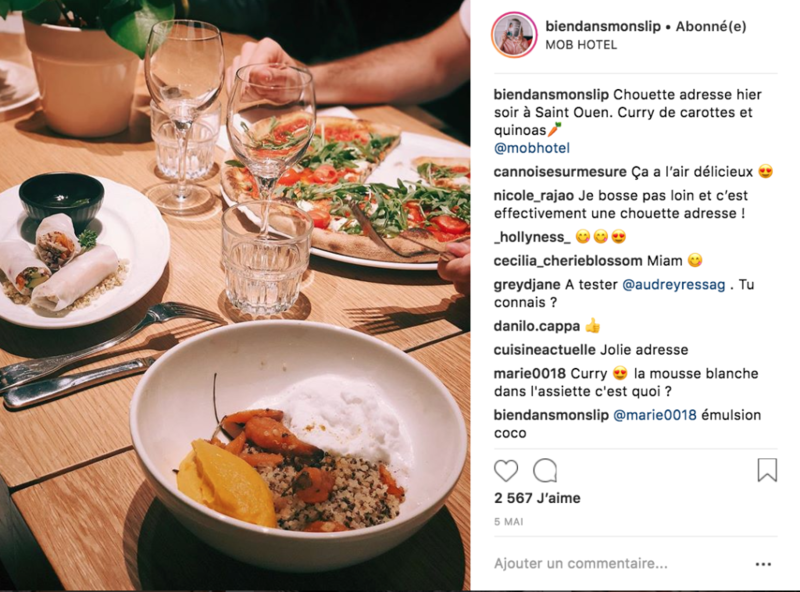 Finally, the quality of an influencer’s followers is vital: is an influencer reaching the right audience targeted by the restaurant (age group, socio-economic profile, location, interests…)? One of the criteria to look for is what kind of interactions each post triggers: are they numerous, of good quality? If the majority of comments consists of emojis or short messages (of the “cool pics” or “great feed” variety), it’s likely they were left by robots and the influencer doesn’t have a real audience but resorted to hacks to acquire new followers (article to come). 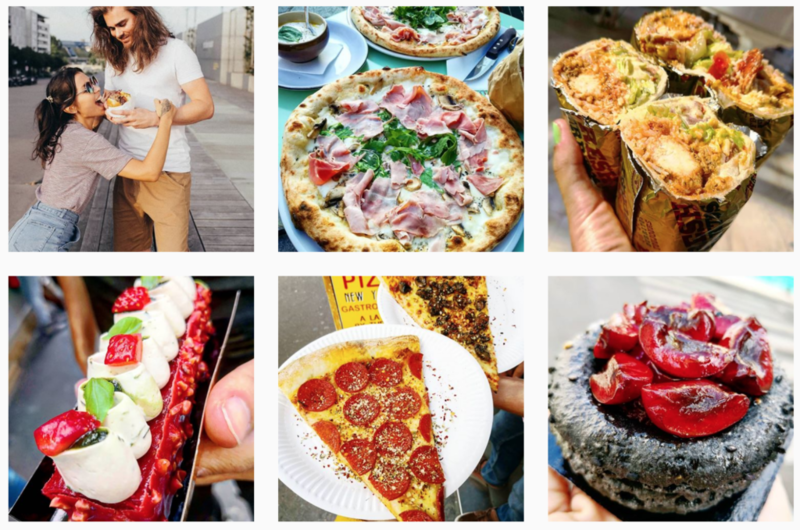 Another important criteria: are there pictures of food in an influencer’s feed? 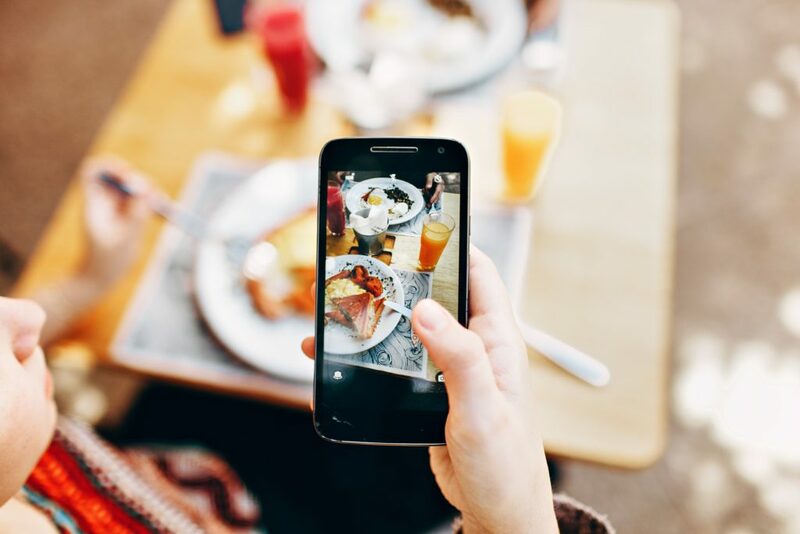 An influencer may have a real audience that follows and trusts them, but if they’re not used to posting about food, they may only do a story in the best case scenario, and the added value for restaurant owners will be lower. 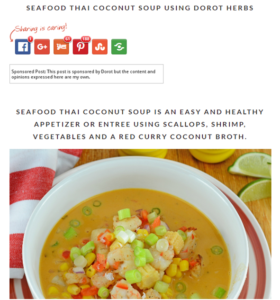 Nina, from the Callmevoyou account, regularly posts food content with recipes she tries or restaurants she tries out. 5. How do restaurants collaborate with them? Restaurants have to offer real added value to influencers for them to want to collaborate: trying out an original, generous, gourmet type of cooking, discovering a nice place, talking about themes that their audience can relate to, or going even further by suggesting they invite one or more of their followers. Before thinking of how to collaborate with an influencer, it’s important to have figured out their taste, the last restaurants they tried and liked, as well as what their community seems to appreciate. “Lower-tier” influencers can be contacted via private messages on Instagram, but it is more professional to send an invitation, a press release, or press kit by email. Invitation can be personalized. Usually, they’re (graciously) invited to try a restaurant with a +1. Still, organizing an entire event can have a much more important local and media impact. It’s essential, then, to invite groups of influencers who know each other already and like each other, but also to pick the best format for the event (seating charts can quickly become conundrums and put at risk the entire atmosphere). To compensate financially or in kind? When it’s about simply trying a restaurant, most influencers do not ask to be paid. However, if the restaurant owner clearly expects more work from the influencer, like a video montage or an article with edited pictures, an influencer can ask to be compensated financially (after all, all work deserves payment). An efficient way to collaborate with an influencer is to organize a contest. 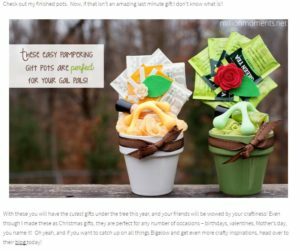 The influencer invites their audience to come forward in one of their posts, usually by tagging one of their friends to enter a draw (and eventually following the account of the restaurant on social media). 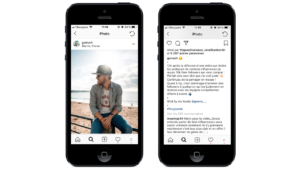 The benefit is twofold:: the influencer offers real value to their followers by allowing them to win an invitation to a restaurant, while restaurant owners increase their visibility with the contest. The staff, if it’s social media-inclined, can of course take care of inviting influencers from time to time. However, identifying the best influencers, building a relationship with them, organizing entire events, reusing content, analyzing the media impact… all of this demands time which cannot be allocated at the cost of restaurant work and the care taken to serve customers. To carry out a real influencer marketing strategy, expand a restaurant’s visibility, and increase revenue, we recommend restaurants work with agency. 6. What are the limits of influencer marketing? Passionate influencers will continue to discover new restaurants on their own. Others lose their credibility and only frequent places which invite them or pay them to come. It’s important to identify those who continue to share authentic content and thus preserve the bond of trust they’ve build with their followers. There are influencers who boast of very high follower counts which turn out to be bogus. Indeed, it’s possible to use different types of softwares or robots (which people often have to pay for) to grow one’s audience with “fake followers.” You can read another article on the subject on Malou’s blog. To ensure the success of their products with the most favorite return on investment possible, brands in the food industry are more and more tempted to invest in influencer marketing. Here’s a list of the year’s 10 campaigns that more than surpassed their initial goals. Every dollar invested food influencer marketing generated 12 times its value in earned media (1). Earned media, as opposed to owned media (a brand’s websites and social media accounts) and paid media (bought advertising), refers to the visibility acquired by a brand with third-party means (blogs, social media, etc.). If word-to-mouth is the most effective way to sell, the extent to which social media has taken up space in our lives means it’s now possible to use social media on a full scale by mobilizing the right influencers. Who? Where? A company specialized in glass-jarred specialty foods (sauces, preserves, spreads) in the United States. The campaign: The project lasted 6 months and involved about fifty food, lifestyle, and family bloggers. 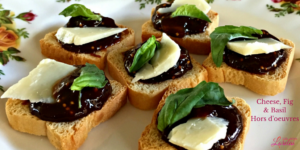 With their audience, they shared recipes and high-quality pictures suited to the American calendar (recipes for the traditional Memorial Day barbecue in May, for example). Influencers explained with transparency that their posts were sponsored by the brand, but that the recipes and testimonials were genuine and personal. Some invited their followers to fill out a short questionnaire to win a coupon, which one out of two followers did fill, allowing Mezzetta to compile a list of over 70,000 potential customers. Who? Where? A brand of American cheese of Italian origin. The goal: Increasing sales during the year’s end celebrations. 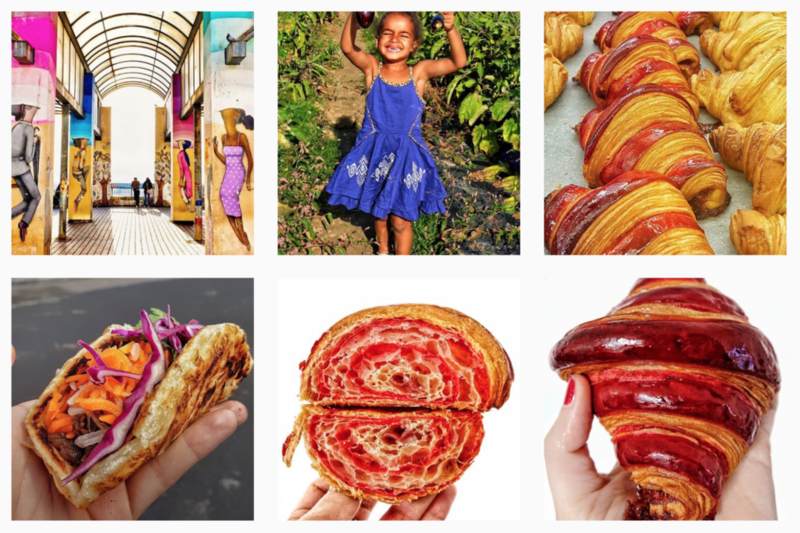 The campaign: 75 influencers created original and festive recipes using the brand’s products. They shared exclusive stories on their family traditions and Christmas memories, lending an authentic and intimate character to the campaign. Who? Where? The famous brand of lollipops, in France and Russia. The goal: Reconnecting with a teenage audience. 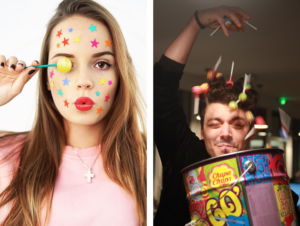 The campaign: Chupa Chups mobilized two celebrities, vloggers, and 100 mid-tier influencers present on Facebook, YouTube, Instagram, and the Russian social media platform VKontakte. They shared content that was light and fun, much as the company’s tagline, “Forever Fun.” Influencers also launched the #ChupaChupsChallenge which consisted of sharing a picture of themselves as children, and recreating the pose in a new picture with a Chupa Chups. Each then nominated friends to take on the challenge in turn, the snowball effect increasing the visibility of the campaign. Who? Where? A company selling frozen seasoning cubes made from garlic and herbs in the United States. The goal: Showing the uses of the product and generating sales. The campaign: 60 food, lifestyle, and family influencers shared with tips on how to use Dorot seasoning cubes with their audience and highlighted how handy and easy they were to use. Who? Where? Ricola, the Swiss candy brand, in Germany. The goal: Celebrating the brand’s 75th birthday, and communicating about the company’s Social Responsibility initiatives. The campaign: During a month, the brand collaborated with 30 German bloggers to share articles and visual content on candy made from plants. The sharing of content was reinforced with sponsored ads on social media. Who? Where? A brand of American sauces. The goal: Creating brand awareness for the launch of a new product and generating traffic on the brand website. 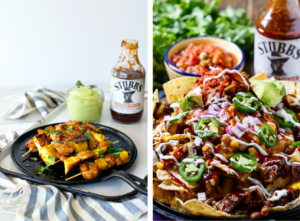 The campaign: Ten influencers shared new and creative recipes that used Stubbs BBQ sauces. 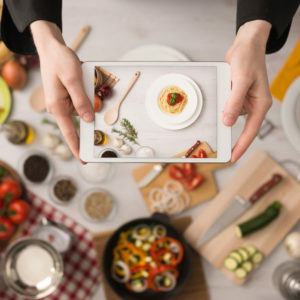 Each social media platform was used with a precise goal in mind: Twitter to announce they were cooking with a Stubbs BBQ sauce, their blogs to publish the recipes in full, Instagram to share pictures of them and their loved ones around the table, Facebook to generate traffic to the blog articles, and Pinterest to share high-quality visual content. Who? Where? A company specializing in sauces and juices made from avocados in the United States. The goal: Generating brand awareness. During Game Days (the baseball season), food, lifestyle, and family influencers were mobilized to create exclusive recipes designed for post-match afternoons. For Thanksgiving, influencers shared tips on how to reinvigorate their traditional November feasts by cleverly using GoodFood products. To amplify the campaign’s reach, paid ads using native advertising on a network of editors from Women’s Health or Food Beast were used. 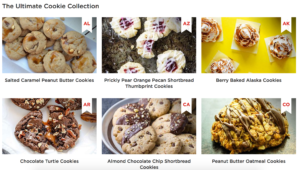 The campaign was successful: it generated a 45 percent and 34 percent sharing rate on GoodFoods’s social media accounts, while the average engagement rate of brand posts on their network was around 2 percent. Who? Where? Bigelow Tea, a manufacturer of teas mostly distributed in the United States. The campaign: The brand collaborated with food and lifestyle influencers with a reputation for healthy lifestyles. They showed inventiveness in producing creative content, which is not the easiest thing with a product like tea. They shared recipes for iced tea, flavored ice cubes, and even for a lip balm, as well as ingenious DIY ideas to give a second lease of life to used teabags. Who? Where? A brand of non-dairy milk substitutes in the United States. The goal: Presenting the brand as an appealing alternative to dairy products of animal origin and generating sales. 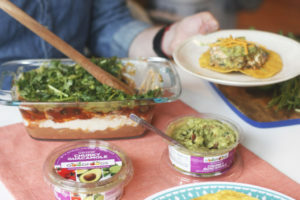 The campaign: The brand collaborated with 258 food and fitness influencers to create content during “Meatless Monday.” They shared exclusive recipes with their audience to highlight the company’s products. 285 dollars in sales generated for each 1,000 people reached (previous paid ad campaigns generated an average 16 dollars). Need help for your restaurant's communication strategy?